When you come home and take a nice, deep breath to relax, are you getting more than you bargained for? It may come as a surprise to learn that, according to the Environmental Protection Agency, the air in our homes is often two-to-five times more polluted than the outdoor air, even in the largest and most industrialized cities. Even for those without allergies or sensitive respiratory systems, it’s important to have a clean home. As you close your home for the cold months ahead, now is the perfect time to take some simple steps for fresher air. Remove the old furnace filter, vacuum the intake grill, and replace the filter regularly (at least once per month). A clean filter allows the furnace to run more efficiently and puts out cleaner air. Dust and vacuum often. Consider using a vacuum with a built-in allergen or HEPA filter, which allows one to clean floors and surfaces while putting less dust back in the air (from the vacuum exhaust). Filter allergens by changing the filters in your vacuum regularly, to reduce the amount of allergens and other particles released into the air. Filtrete vacuum filters, made by 3M, for example, have been shown to optimize vacuum durability and suction, keeping the home cleaner by trapping dust. The filters are available at many retailers, and for nearly all brands and models of vacuum cleaners. When dusting, do so with microfiber towels and dusters. Such products attract dust, which cling to the fibers instead of simply becoming airborne or dropping back to the ground. Ventilate the home. It may seem counterintuitive, but occasionally let the outside air in. On a nice day, briefly open windows (even for only 5 minutes). This helps indoor air circulate with outdoor air, and results in a fresher environment. or materials into the home’s air. Bathe and brush pets regularly. Pets’ coats are often loaded with dirt and dander that scatters around the house and can contribute to poor indoor air quality. To avoid this problem, brush and bathe pets regularly. In addition to your fire/smoke alarms, strongly consider installing a carbon monoxide (CO) detector. CO is undetectable (colorless, odorless and tasteless), and is a silent killer. Since CO is lighter than air, be sure to install the detector at high points of the home (i.e. at the top of the stairs). There are other events and situations that can result in contaminants, which can result in serious health issues: SMOKE/SOOT: Even a very small fire/smoke event can result in thousands of products of incomplete combustion (PICs) being released into the air. All of these PICs have the potential to cause serious health issues – especially in highly susceptible persons. If such a small event occurs, call Puroclean Certified Restoration. Our professionals will be glad to provide a no-cost evaluation of the situation in your home to help determine if there are any PICs that need to be professionally cleaned and removed. FURNACE MALFUNCTIONS: Sometimes, a furnace will malfunction and release smoke/soot particles into the air. These should be treated exactly the same as all PICs in a home, and the situation should be evaluated and/or remediated by our restoration professionals. MOLD: Even a small amount of mold can produce an abundance of allergens and/or mycotoxins in the home. Again, highly susceptible persons are at the greatest risk. The Center for Disease Control (CDC) says that ALL molds have the potential to cause illness or distress, especially in highly susceptible individuals. Therefore, the CDC concludes that all molds should be removed from the indoor environment. So, if you see mold growing anywhere in your home, including mold in basement, call our restoration professional to do an evaluation regarding the remediation of this indoor contamination. Regardless of the circumstances – indoor air contamination, or dealing with puff backs or other fire/smoke damage, water damage, odors, mold remediation, or even biohazard remediation – call our local PuroClean Certified Restoration office, the Paramedics of Property Damage™. 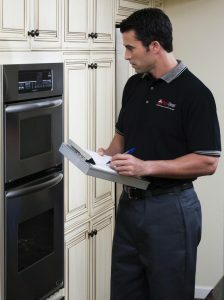 For all property damage situations, our professionals are standing by. We will mitigate the loss to prevent further damage and will then provide restoration services to return the property to a pre-loss condition as quickly as possible. 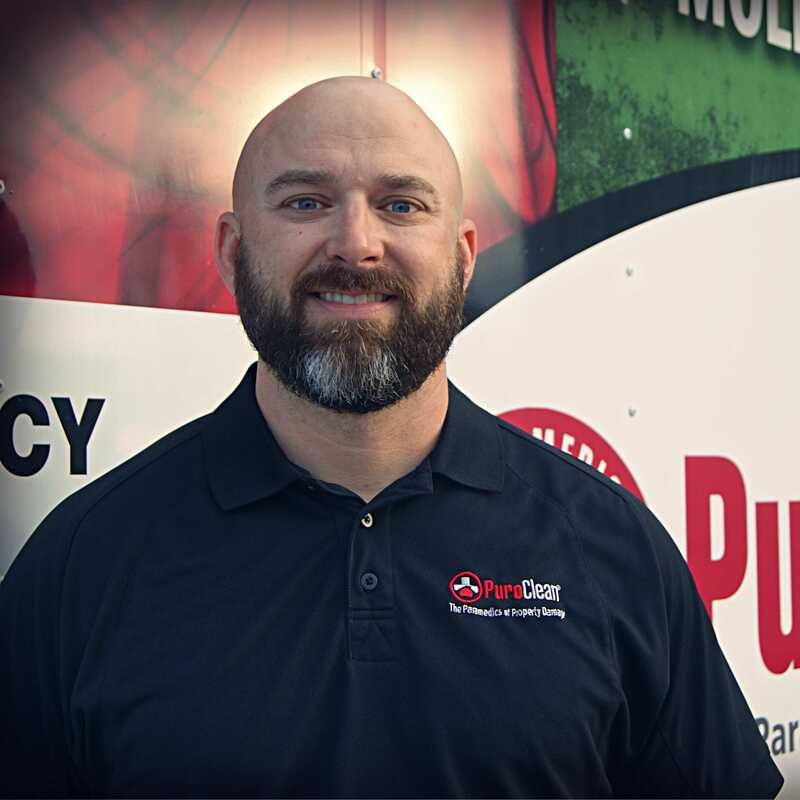 Our PuroClean office has well-trained professional technicians who provide the latest state-of-the-science services to all property damaged from water, fire, smoke, mold, and other disasters.